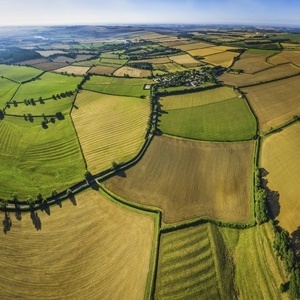 Land reform a dampener on SA markets, should we be worried? Two of the largest international ratings agencies, Moody’s and Standard & Poor’s have downplayed concerns about the policy adopted by the ANC at its December conference to expropriate land without compensation. S&P late on Friday night kept South Africa’s rating unchanged, at sub-investment grade (junk status) with a stable outlook citing considerable political and social challenges in implementing reforms. The basis for the land reform debate, according to S&P is “… significant challenges in light of high levels of poverty, unemployment, and economic inequality, which break along racial lines”. This has seen a multi-party parliamentary committee established to consider whether expropriation without compensation can be undertaken within the current constitution, or whether it will require a legislative amendment. “It is still too early to tell how the process will unfold, but we expect that rule of law, property rights, and enforcement of contracts will remain in place and will not significantly hamper investment in South Africa,” S&P commented. S&P affirmed its faith in SA’s institutions, including the judiciary in undertaking the relevant checks and balances. Moody’s in their review in March also, downplayed the concerns raised by the local agricultural sector and said that the way government handles land expropriation will be a test of its ability to balance attracting investment with the alleviation of poverty. The constitutional review committee examining the land issue has received more than 150 000 written submissions so far and will begin public hearings in all nine provinces from June. Members of the committee have an extended deadline to report back to the National Assembly by mid-September. The rand was mostly unchanged by S&P’s decision to keep SA at sub-investment grade. It closed at R12.48 to the US$ in overnight trading in New York, after trading at 12.50 to the greenback at the close of the JSE at 17:00 on Friday. The rand’s slide in recent weeks has mostly been due to dollar strength and not based on domestic factors. A ratings review by the last of the major ratings agency, Fitch is still outstanding and it typically doesn’t announce its schedule ahead of time.